BEST-SELLER, NEW COLOR! Embroidery+ crochet + a pretty coral pink hue for the win! 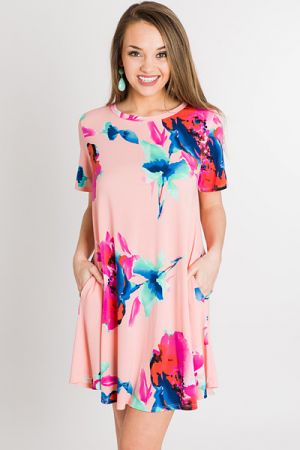 It's the ideal little dress for welcoming warmer weather. Dress is lined. Fit is true to size. Model is wearing size small. Length measures approximately: S=32" M=33" L=33.5"